“Simply the best gunnery group we have worked with” – Sir William Harrington’s Companye. The Compagnie of Seint Barbara are the UK’s premier 15th century gunnery group. 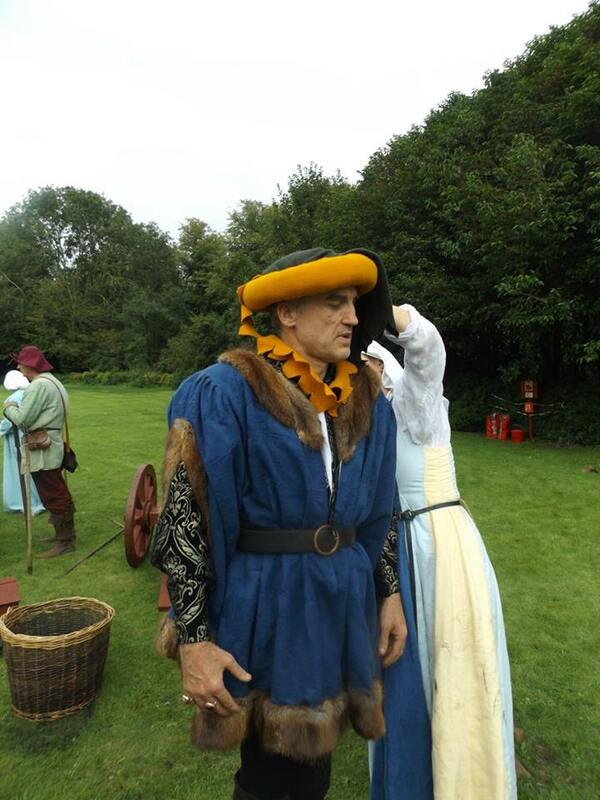 We are a group of friends and medieval history enthusiasts who portray a Burgundian gunnery group during the Wars of the Roses. 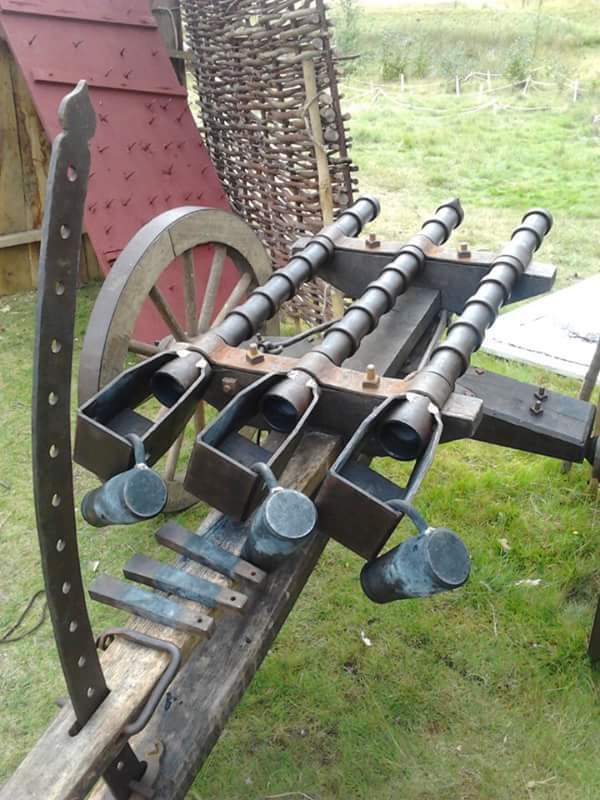 We have a variety of authentic replica cannon, handguns and other weaponry of the period. 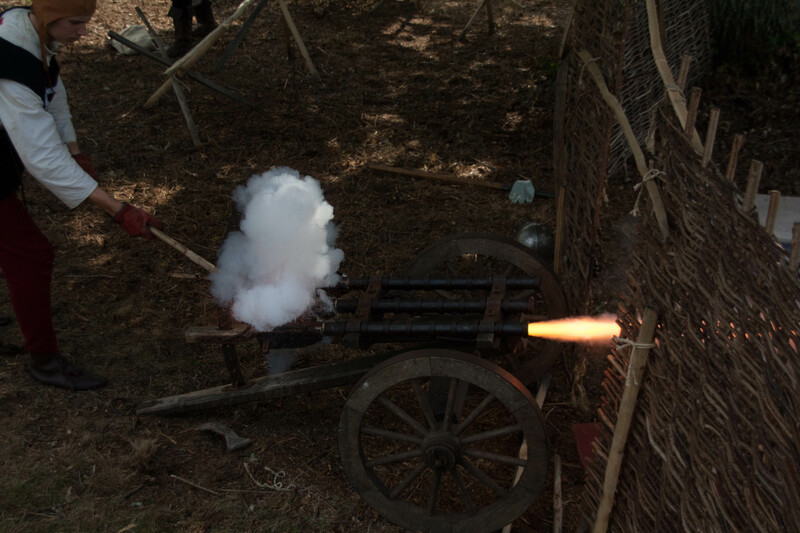 We can add the noise, smell and drama of medieval guns to period battle re-enactments or provide a top quality living history display with or without a gunnery demonstration. 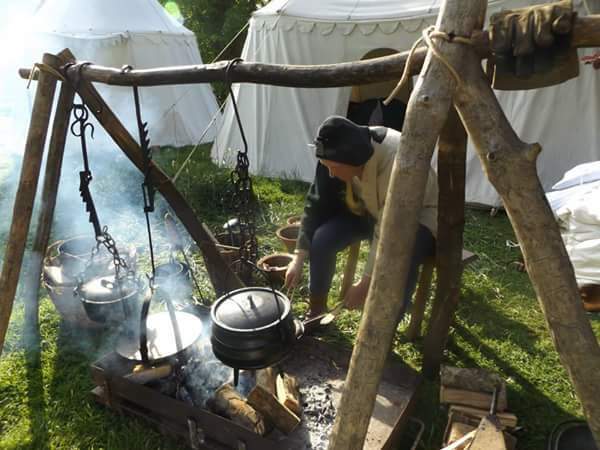 Our members can display a range of period crafts and bring to life the sights and sounds of the fifteenth century encampment . Saint Barbara is an early Christian Saint and martyr who was put to death by her own father after imprisonment and torture because of her faith. Returning from killing his daughter her father was struck by lightening and died consumed by flame. 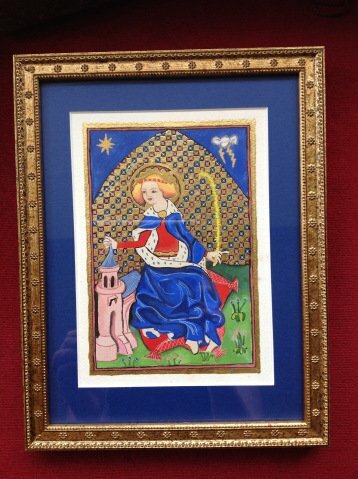 Barbara became the patron saint of those at risk of sudden death at work. She became venerated by armourers, artillerymen, gunsmiths and miners.